Dance to the rythm and sound of music with this all new offer. 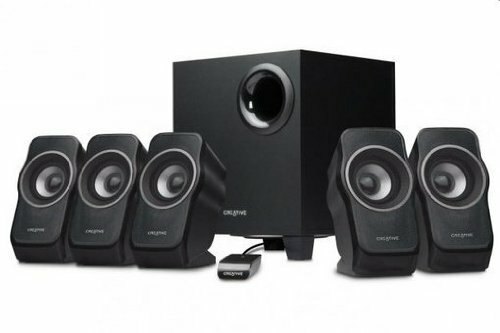 Amazon online shopping brings you this great new deal to own the grooviest Creative SBS A520 speakers at a very low price of just Rs 3,139 only for you.This is a 5.1 multimedia speaker that comes in with a subwoofer and is clubbed in with 5 amazing powerful speakers .Just soar the temperatures of any party this seaso with these amazing set of speakers and enjoy. How to buy Creative SBS A520 Speaker at deal price of Rs 3139? Click here to go to the Store Page. Select this product and add it to shopping cart. Proceed to checkout and make payment. Beats down the conventional thought process to inculcate this new age philosophy so as to have a tryst with the best and the wildest experiences.A traveler at soul, a musician at heart an engineer by profession and a wisdom seeker for life.Having a keen interest in digital marketing so unwrapping new facets in this field everyday with it..
Dealstan.com Coupon and Deal redemption is purely subjected to standard and specified terms and conditions mentioned by the respective merchant. © 2019 Dealstan. Made with Love in India.